Democratic candidate for Lieutenant Governor of Michigan walks back comments calling Hamas 'legitimate', labelling Israel the 'aggressor'. The Democratic candidate in this year's race for Lieutenant Governor of Michigan walked back a series of social media comments he made in the past, in which he blamed "Israeli aggression" for the conflict with the Gaza Strip, and hailed the Hamas terror organization as the "legitimately elected" leaders of the coastal enclave. 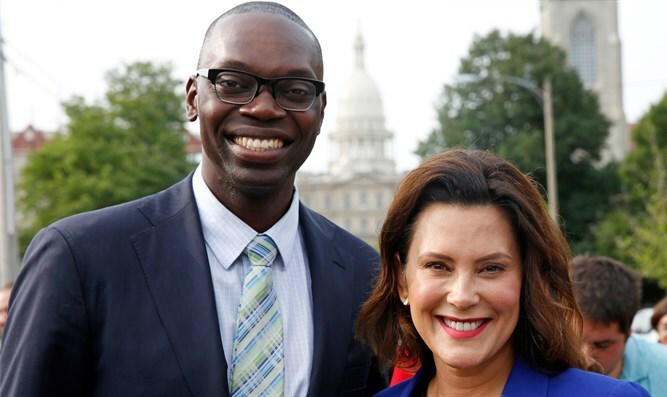 Earlier this month, it was revealed that Garlin Gilchrist II, a political activist and running mate of gubernatorial hopeful Gretchen Whitmer, had posted a series of social media posts in January 2009 criticizing Israel and support for the Jewish state among Americans. In the comments, Gilchrist also expressed optimism that President Barack Obama would end what he claimed was a biased, pro-Israel approach in the White House. Two days later, Gilchrist expressed hope that then-President Barack Obama would end the “Israel-can-do-no-wrong approach”. In a follow-up comment, Gilchrist expressed his support for the Gaza-based Hamas terror group as the ‘legitimate’ representative of Gaza, while condemning “Israeli aggression”. On Friday, however, the Whitmer campaign released a statement from Gilchrist walking back his 2009 comments regarding Israel and Hamas. Gilchrist said he had made the comments without fully grasping the complexities of the situation, and vowed to support Israel "as an important ally" of the US. "Nine years ago," Gilchrist said in the statement, "I waded into a complex geopolitical issue and made comments about a conflict I did not fully understand. To be clear: I support the State of Israel as an important ally of the State of Michigan and the United States, as well as a homeland for the Jewish people." In his statement, Gilchrist said he backed a two-state solution and rejected Hamas, calling the group a threat to peace. "I believe the path to peace is a two-state solution, and that terrorist groups like Hamas threaten that peace. Israel is an important economic partner for Michigan. As our next Lt. Governor, I look forward to traveling to Israel to continue fostering business, economic, and cultural connections between Israel and Michigan."